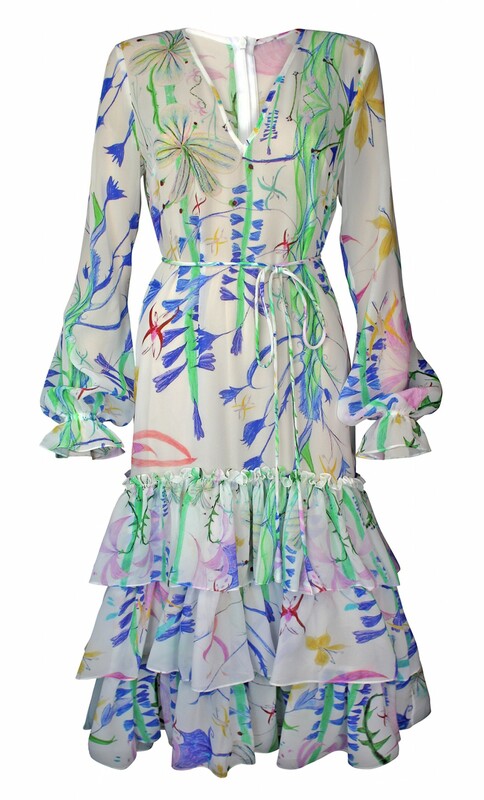 The romantically ruffled dress is tailored from a featherweight silk georgette. 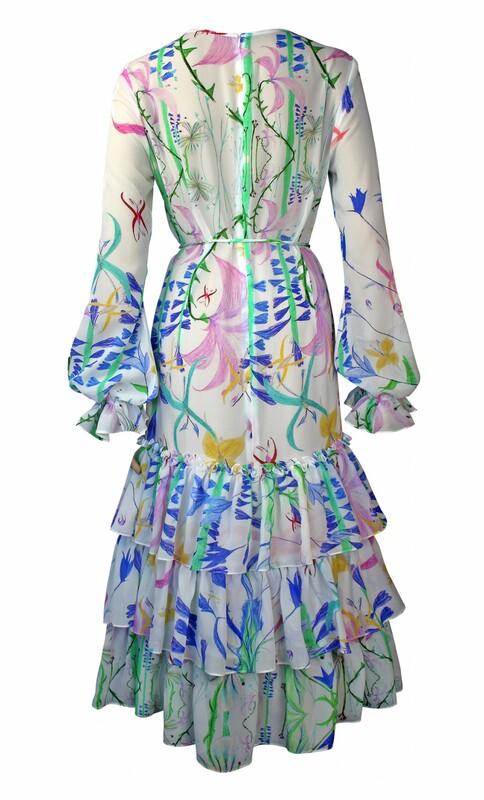 The fantasy print consists of hand-drawn opulent fantasy flowers, butterflies and birds inspired by the “Jack and the beanstalk” fairytale. Bishop sleeves, ruffled cuffs, detachable self-tie belt, 3 layers of ruffles along the bottom, invisible zipper at the back.